This wiropad includes our premium handmade hot pressed multimedia paper. The paper is made using 100% Cotton fibers to provide you with exceptional strength and durability. Double wired, hard bound and lays flat for easy painting. It also features an interleaf between each sheet to protect your precious art work. Interleaf provided between each sheet protects your precious art work. This wiropad includes our premium handmade hot pressed multimedia paper. 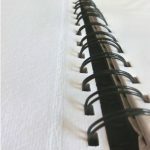 The paper is made using 100% Cotton fibers to provide you with exceptional strength and durability. Double wired, hard bound and lays flat for easy painting. This wiropad features a unique design which offers you 4 side deckle edge papers. 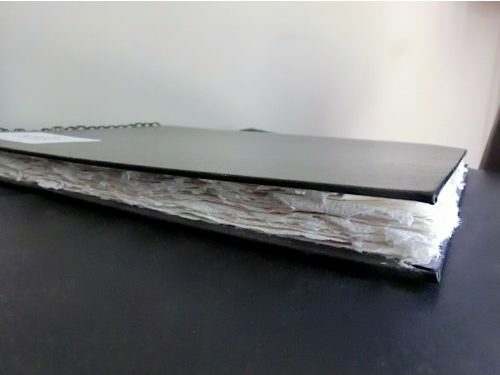 The handmade papers have a unique solid perforation. The paper can be torn using just hand, providing you with fourth side deckle edge. As unique as it sounds!!! Indigo Multimedia papers are made using special felts imparting them uneven texture and tooth to give you the best experience of using a hand-made paper. 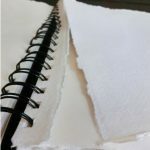 Ideally sized, the paper is suited to be used for all types of drawing techniques with wet and oil media, charcoal, acrylics, pencil and pastel. The paper is also suitable for printmaking techniques including engraving, etching and letterpress. Each pad features, 24 Sheets of premium 120lb (250 GSM) multimedia handmade paper. 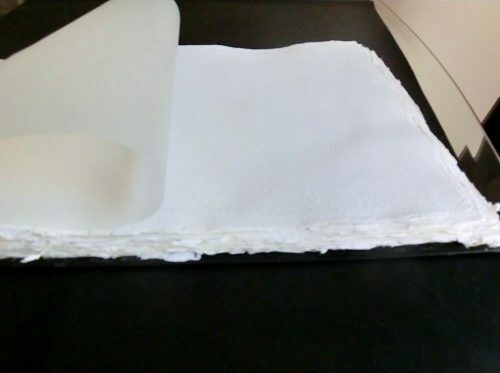 Paper is acid free, internally sized and is suitable for both dry and wet media. 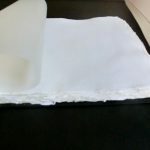 Each handmade paper is exceptionally tough, has unique surface texture. 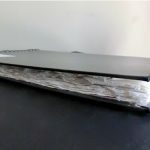 It also features an interleaf between each sheet to protect your precious art work. Each paper is unique and different than other. Each sheet is carefully hand-made, giving each sheet a characteristic ruggedness and uneven edge called deckle edges. No sheets are alike; every paper has its own characteristic. That’s the uniqueness of handmade paper. Each paper is carefully handcrafted and has exceptional strength and durability. 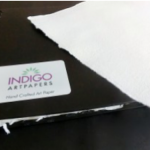 Indigo Arts paper is 100% Acid free. 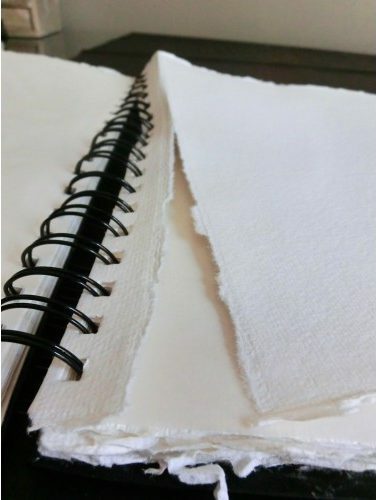 No chlorine, bleaches or harmful chemicals are used in our paper making process. The used water is pH neutral and is used for irrigating our garden and vegetable farm. Our unit is located in a peaceful village called Sankheda, in Dist Vadodra of Gujarat state of India. Our production facility is surrounded by green farms and forest. Narmada canal and river orsang passes near the village. We employ the local village men and women in our paper mill. 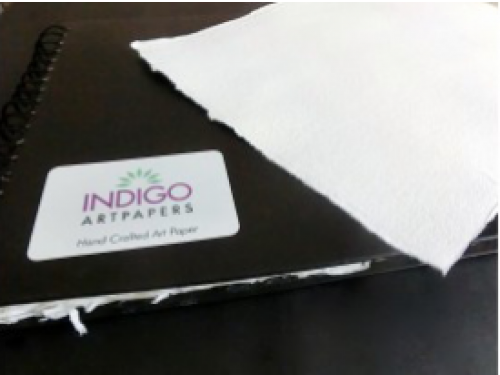 The indigo Artist paper is made using traditional Indian paper making technique to produce durable/ tough high quality water color paper. The sheets are formed individually by trained craftsmen. No artificial brighteners are used in our papers. They are naturally white.